Apply for these weird scholarships in the USA for 2019. Scholarships include Dr. Pepper scholarship and other unusual and weird scholarships. College should be a fun time, so don't take it all too seriously. Here are some creative ways to get extra money for college. Application Deadline Open from August - December. Award Amount multiple awards including 5 $10,000 awards plus chance to enter $100,000 tuition contest at football games sponsored by Dr Pepper. Winners have up to 5 years to use their $100,000 tuition award for 4 consecutive years of college, university or vocational school in the USA. 25 Grand prize winners. 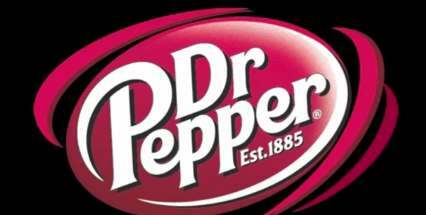 The Dr Pepper scholarship is one of the weird scholarships for college, perfect for video enthusiasts who can win $2500. Create your unique short video and upload to this free online contest. The video winners will be invited to attend a college championship football game, and can win $100,000 scholarship money for college by throwing the most footballs through a 2 foot diameter hoop in 30 seconds. Perhaps this is the perfect football scholarship too? Requirements and rules: Must be a USA citizen or legal resident of an eligible state and at least 18 years old at time of participation to be eligible for $2500 tuition promotion, and age 18 – 24 for the $1,000,000 Tuition Contest. For more information on the Dr Pepper Scholarship Contest and Tuition Giveaway see www.drpeppertuition.com. Award Amount up to $5000, varies by grant and may include gear. Some team grants available too. If you are looking to share your adventure, why not apply for an adventure grant? If you have an idea for an awesome project or adventure trip, that can help inspire others, or perhaps be shared via photography, video and writing, why not apply? Make sure you have an unusual or weird spin on your idea to win your adventure trip! For additional adventure scholarship and grant ideas see www.backpacker.com. Use your creative skills to make a fun short video (10 minutes or less) about how your dream and education will make the world a better place. This sounds so much more fun that a boring application! Application Deadline Per their website, they are only accepting scholarship renewals but are not accepting new applications. Award Amount $1000 - $5000 (27 awards per year), may reapply the next year. Most scholarships are awarded to Michigan residents, but this is open to all USA residents. The Young Entrepreneurs Essay Contest is one of the interesting USA scholarships, perfect for future innovators. You must buy from the site a $10 copy of The Entrepreneur’s Game: Logan’s Story if you are looking for one of these weird scholarships for boys, or The Entrepreneur’s Game: Adrienne’s story if you are looking for one of these weird scholarships for girls. After reading the book, you must write a 3-5 page essay based on the main character of the book, including the concept of innovation and how you can apply lessons learned in your life. Neither academic achievement nor financial need is considered. In some ways this isn’t a weird scholarship, as there are many examples of successful innovators dropping out of college to form their own companies. So spend the $10 and get inspired! Scholarship requirements: Must be a high school senior, legal USA resident planning to attend college the following year in the US. For more info on the Young Entrepreneurs Essay Contest see www.skandalaris.org. If you love peanut butter sandwiches, and plan ahead, this is the weirdest scholarship for college. Create an original sandwich recipie using Jif brand peanut butter for a chance to win $25,000 college fund. You have to plan early, because the college scholarship fund is not for high school seniors or college students, but kids 6 – 12, of prime PBJ age. For full requirements for the Jif Most Creative Peanut Butter Sandwich Contest and application see www.jif.com. Application Deadline this scholarship was put on hold in and it most likely discontinued. This easy scholarship contest was offered by OP Loftbed for about 10 years, but was put on hold. For OP Loftbed scholarship information see www.oploftbed.com.